Access. CORBEL offers access to more than 20 service providers from 10 research infrastructures across the range of life-science disciplines at some of the best equipped research institutes in Europe. Eligibility. Applicants may come from academia or industry (SMEs) with their home institutions based in EU Member States or Associated Countries as defined by the Horizon 2020 programme. Furthermore, applicants need to request access to at least two different research infrastructures. Publication. Data resulting from CORBEL access should be published by the users, with the exception of data for SMEs. 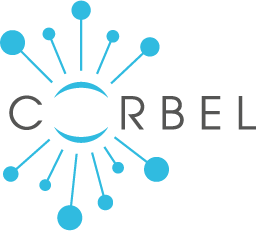 CORBEL funding must be clearly acknowledged by: “This project has received funding from the European Union’s Horizon 2020 research and innovation programme under grant agreement No 654248”. Relevant research data must be made available within one year after publication of the research results, or within five years after the visit, whichever comes first, unless otherwise agreed or the user has specific other obligations (e.g. towards a funding body). Data generated in the context of the study should be submitted to relevant data resources provided by research infrastructures, where available, or other accepted community repositories according to journal guidelines (e.g. Nature scientific data: http://www.nature.com/sdata/policies). Proposals. The proposal submission and review process aims to be efficient, transparent and quick. Applicants will be notified about acceptance/rejection of their project 6-8 weeks after the deadline has passed. ARIA. ARIA, the application system for CORBEL, is being handled by INSTRUCT, one of the research infrastructures that participate in CORBEL. Although potential CORBEL users are requested to register with the ARIA system, the application, review and reporting process will be handled by CORBEL. Five Access Tracks are offered through CORBEL. From your preferred Access Track, select at least two infrastructures, which will be required to undertake the research being proposed. Choose from the available locations, which service providing institutes you would like to access. By clicking the 'advanced selection button', you can specify the desired technologies/services for conducting your research. If you need further advice on this selection, choose the service provider only and provide further details in the textbox 'Visit Detail'. Please confirm the technologies and services you have selected by activating the CORBEL logo and continue with your application. You have to request access to at least two different research infrastructures to fulfill the eligibility criteria for this CORBEL Open Call. Research project title: Provide a title for your project. Benefit of CORBEL access: Describe the importance of the proposed project for your overall research. Indicate specifically the added value of accessing at least two research infrastructures, e.g. because they offer expertise your group is lacking, they will advance your research and support its excellence. Relevant publications: Indicated publications should provide information on potential impact of the work and the likelihood of success. You are invited to provide information that allows the reviewers to judge if the work is feasible and of a suitable scope. Applicants are strongly encouraged to focus on their own research to show their strength in the field, but can include relevant high-impact references from other groups. Description of work: Please dedicate an individual paragraph on describing the work you would like to conduct with each requested service provider (2000 characters maximum per service provider). Expected results: Please list up to 3 expected results from the work with each service provider you plan to access. Biological hazards: Please list potential biological hazards. Level of expertise: Declare your level of expertise in using the requested technologies/services. Select the additional resources you would like to request if applicable. Please indicate, if you require financial support for accommodation and/or travel costs and specify the reasons (maximum 150 characters). CORBEL partners can also support several data management aspects of your overall project. If you are interested, please answer to the optional questions to help us determine your demand. One of your selected research infrastructures has to be nominated as the lead RI (e.g. the one that is accessed first or does most of the work, etc.). This will help to coordinate projects and harmonise communication between service providers. For other information, a modality-specific Help-function is included within the application form. Choose which researchers will be involved in your proposal. This includes you and other scientists working in your home institution who will be involved in the desired research. Principal Investigator: If you are not a PI, the system will send a message to your PI to authorise the proposal. Team members: If desired, indicate other members in your lab that will be involved in the research. This is your opportunity to exclude reviewers that may have conflict of interest. Please note that the reviewers to be excluded will always be excluded. Please review your proposal carefully before submitting. Once you submit you can access your dashboard to check and follow the status. If you have any questions, contact us through your proposal messaging online or by email frauke.leitner@embl.de or marie.vidal@mdc-berlin.de.